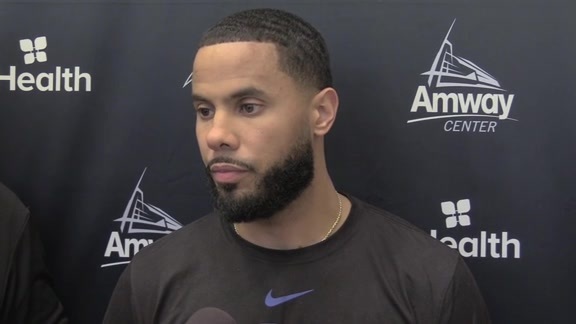 ORLANDO – A perfect example of the Orlando Magic’s pursuit for consistency and improvement was summed up in guard Evan Fournier’s hot-and-cold reaction following his team’s dramatic victory on Monday. 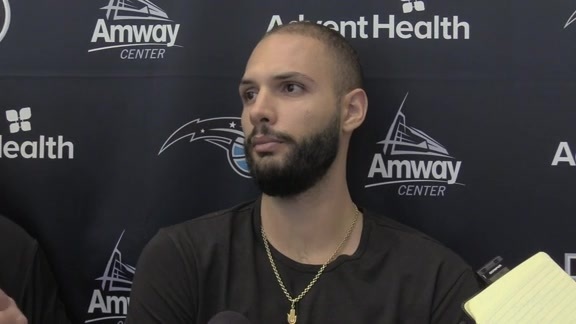 Whereas Fournier should have been overjoyed after drilling a buzzer-beating 24-footer that lifted Orlando to a 102-100 defeat the Cleveland Cavaliers, he was instead somewhat ticked with himself for his poor play in the third quarter and a late free throw miss. Also, Fournier and his Magic mates were miffed by a poor third-quarter performance that saw them outscored 32-12 by the Cavaliers and need the fourth-quarter heroics. Similarly, Orlando couldn’t fully enjoy Sunday’s 117-110 defeat of the Spurs in San Antonio because it saw a 26-point lead shrink to five in the final minutes because of some sketchy defense in the early stages of the fourth quarter. 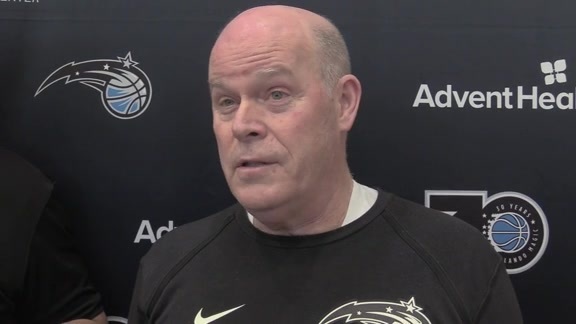 The good news for the Magic, however, is that they were victorious in both of those games for their first two-game winning streak of the season. Tonight, Orlando (4-6) will look to continue its mostly stellar play and clean up some of its sloppiness when it faces the Detroit Pistons (4-5) at the Amway Center. For now, the Magic are just happy to have won consecutive games for the first time this season. After winning the opener against Miami, the Magic dropped the following game at home by 32 points. And after beating the Celtics in Boston on Oct. 22, Orlando proceeded to lose its next four games. Center Nikola Vucevic and others were curious to see how the team would respond following Sunday’s win in San Antonio. While Monday’s defeat of Cleveland didn’t come without its challenges, the Magic persevered and found a way to win in the end and that’s a sign of progress to build upon, Vucevic said. ``Winning just makes everything better,’’ said Vucevic, who had a key blocked shot with 3.8 seconds remaining to set up Fournier’s heroics. ``I know it wasn’t necessarily pretty against Cleveland, but a win is a win. To win against a team like San Antonio on the road and then get a win on a back-to-back and defend the home court, it gives you momentum. Detroit was one of the NBA’s early surprises when it won its first four games of the season. However, the Pistons have since fallen on hard times, losing five straight. They fell in overtime on Monday to the Miami Heat despite big games from center Andre Drummond (25 points and 24 rebounds) and forward Blake Griffin (24 points, 15 rebounds and seven assists). Drummond, who had 11 offensive boards and a last-second tip-in basket to force overtime, is a particular concern tonight for the Magic. Detroit ranks fourth overall in the NBA in rebounding (49.4) and is first in the NBA in offensive rebounding (12.9). The Magic are giving up 10.2 offensive rebounds a night – 16th in the NBA – and Clifford wants his team to clean up that area moving forward.